For Memorial Day 2017, I wanted to create an image that reflected the meaning of the day, I thought about how to combine elements. First of all, I wanted red, white, and blue. I wanted a red rose to be a major element. Most of all, I wanted the connection to the meaning of the day to be clear. The image is a composite with multiple layers, composited to reflect the meaning of this special day at many levels. 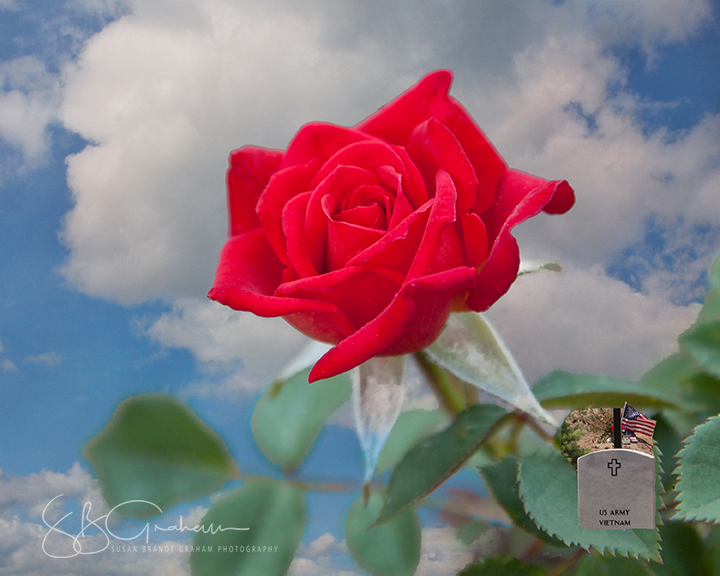 The red rose is the miniature, ‘Ruby Baby.’ The tombstone is from the cemetery of an old New Mexico church. The sky is…well, the beautiful sky. Wishing you peace on this special weekend, a time for quiet reflection. Spring 2017 Roses is a small collection of images of roses mainly grown by me. ‘Austrian Copper,’ the species rose R. foetida bicolor, was grown by Tim and Laurie Price. If you wish to see any of the images at a larger size, click on the image. You may also watch a slideshow containing these and other images. Additional post will be made throughout the season. 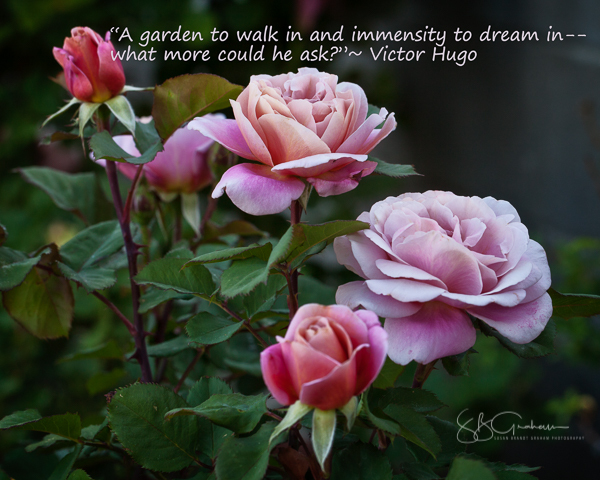 I hope you enjoy the varied beauty of the roses. Floribunda rose, ‘Betty Boop.’ Rose shows now frequently have a class for “Rose Art,” and very often what you will see are images that use photoshop filters or other editing that leads to the destruction or loss of beauty of the rose itself. I want to show that images can be greatly edited, and/or enhanced, without destroying the integrity or the beauty of the rose. Continuing a series of individual rose images, the rose featured today is the floribunda, ‘Marmalade Skies.’ It is capable of making large sprays, as well as blooms that briefly have the exhibition form of hybrid teas. The color is wonderful for rose arrangers. It definitely stands out across a room. The roses in my yard are definitely ahead of schedule this year. 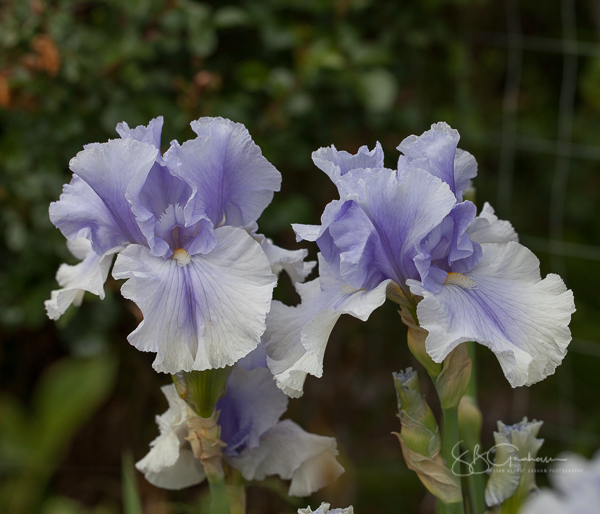 I am enjoying them while they are blooming, because it may be fall before they have another good bloom cycle. 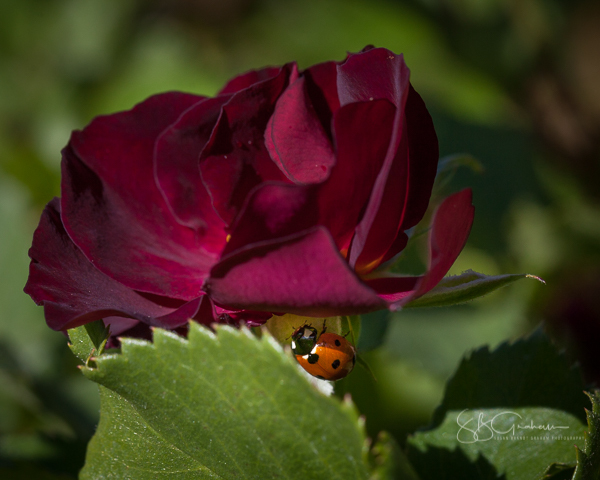 Rose photography in the American Rose Society has a growing interest, no pun intended. 🙂 The American Rose Magazine has had a photography contest for some time. In recent years, the contest has become a digital competition. Online entry is easy, and mailed CD’s, DVD’s, and thumb drives are also accepted. Yesterday, March 12, the ARS used online methods to announce the winners of the 2016 competition. Not only was it fun, but all of the winners could be shown. While the top winners will appear in the American Rose Magazine, print space does not allow for the showing of all winners. I was very happy to win the Judges Class with ‘Hot Cocoa,’a floribunda rose grown by my mother and photographed by me. 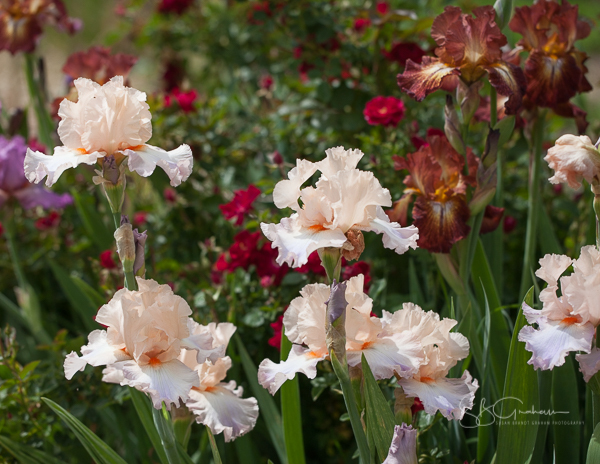 ‘Hot Cocoa’ is a russet rose, and russet is always a challenge to photograph! A very big winner in the regular classes is the fourth, and newly appointed, PSWD Photography Chair, Juanita Ortega. I remember when Juanita was just beginning rose photography. 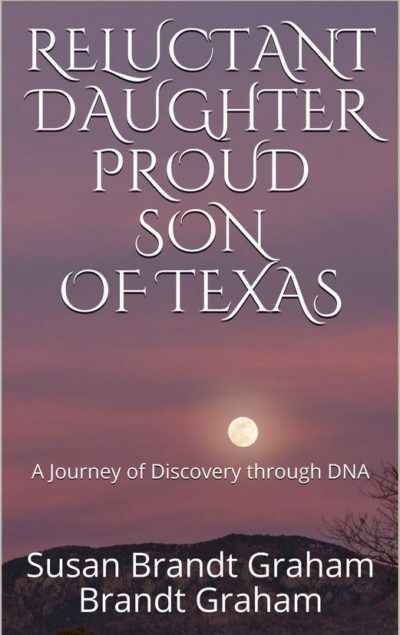 She won awards with gorgeous images taken with a point-and-shoot camera and no editing software. (I also remember when she was just beginning in Arrangements.) She brings knowledge, dignity, and commitment to PSWD photography, and the PSWD is lucky to have her. Yesterday I lost track of all of her awards, but you can see all of them in this YouTube video, along with all of the other winners. A brief introduction is followed by all of the winners in all of the classes. Enjoy! The rules for the 2017 ARS Digital Photography Contest have already been posted. Think about entering. 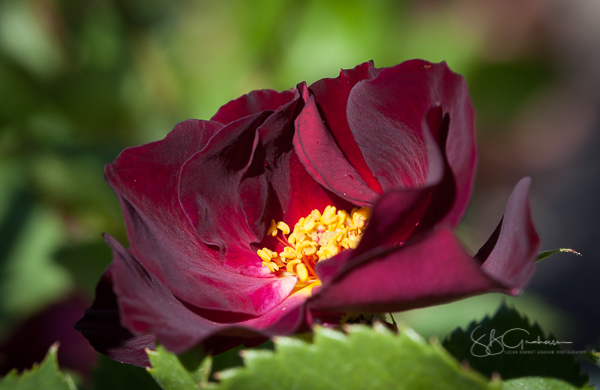 Rose show season is rapidly approaching, and the emphasis will move to rose photography in print form. Some people say entering a print is too expensive, referring to having it mounted and matted somewhere. Last year I prepared a short “how-to”in Kindle form. I show not only how to do it easily, but also how to do it inexpensively. More than that, this method eliminates all the “waves” frequently seen in some of the images in our rose shows. The American Rose Society now offers a variety of options and settings for sharing your rose images. 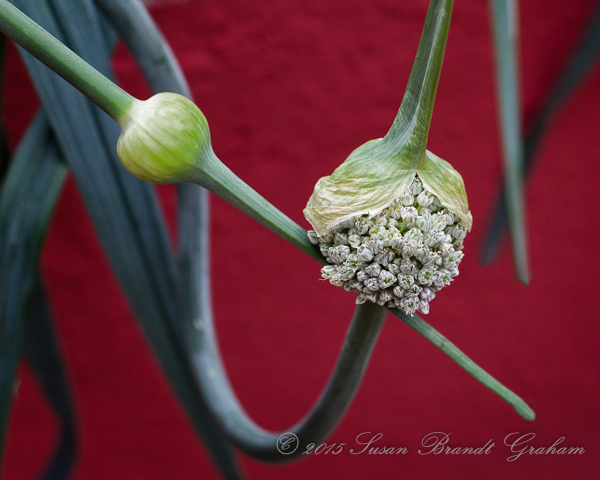 Garlic is not only wonderful in food, it can be great fun to photograph. Some types produce “scapes,”which visually are quite interesting. I made this photograph at the Tucson Botanical Gardens in May, 2015. I was in Tucson for a seminar to update my credentials as an American Rose Society Accredited Horticulture Judge, but I took time to visit the botanic gardens. This is only one of many photographs I took that day. I was notified today that the image was a Nominee in the 10th Annual International Color Awards, in the Still Life Category. Some of you who read here regularly may recall seeing it before. It was juried into the 2015 Corrales Fine Arts Show, where I showed it on metal. 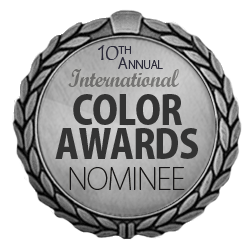 I thank the International Color Awards and the jurists for this year. Google has a lot of different images of these scapes. 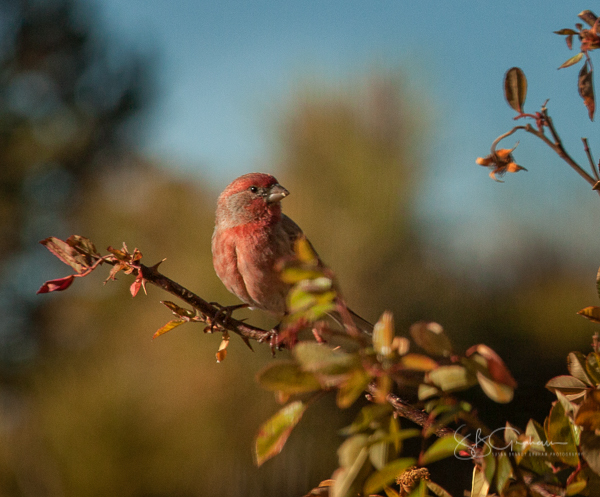 The house finch is a very common backyard bird here in Albuquerque. During breeding season, the males take on a much more colorful plumage. This guy seems pretty pleased with himself. He is sitting on a branch of ‘Mermaid,’ a hybrid bracteata introduced in the US in 1918. Regular readers will recognize it as one of my favorite roses. I have hung a cylinder feeder near it, and any birds hang out on ‘Mermaid’ as they wait their turn at the feeder. Roses are beginning to leaf out. 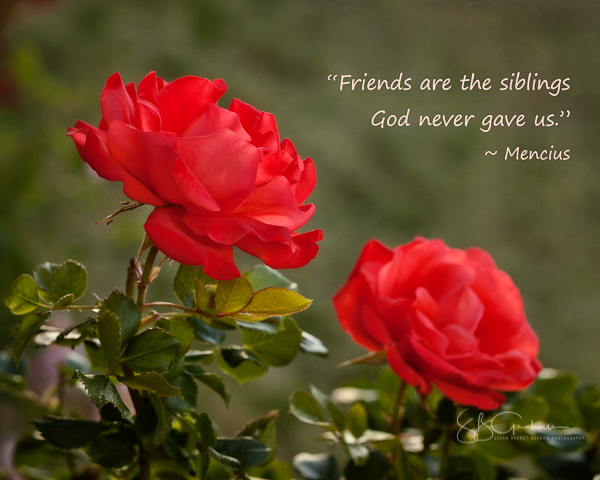 ‘Mermaid’ is the one rose I cut back in the fall, for reasons I have explained multiple time over the years on this blog. So, I can just watch it leaf out and then bloom a little later. The other roses, however, are leafing out a little earlier than I would like, and I will be pruning them soon. 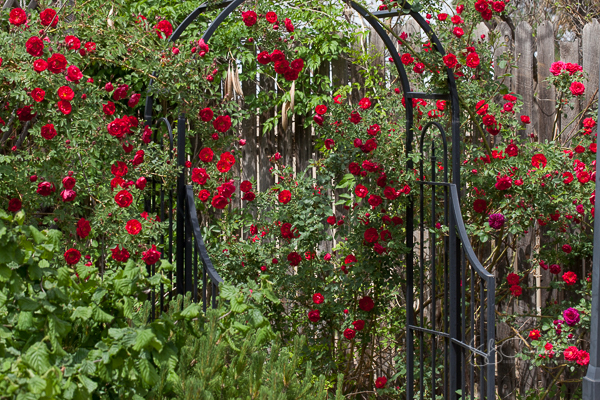 Hopefully, it will be safe… One year, before I knew anything about roses in Albuquerque, I pruned in February! 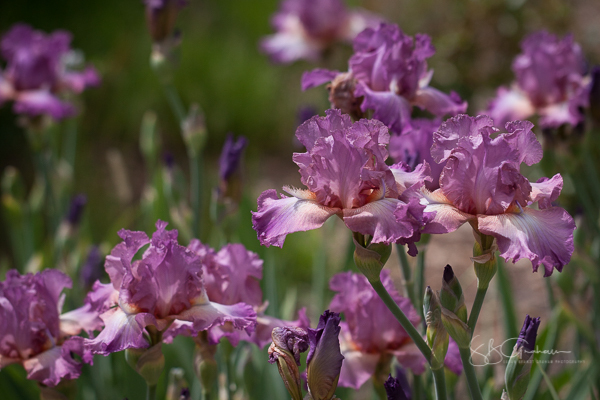 I had one of the best spring blooms ever that year! But, I also recall 2005, when I pruned in early April and did not fertilize until late April. We got a hard freeze in May, which pretty much wiped out the spring bloom here. That was a freak occurrence, but in the time of climate change, who knows? Nevertheless, I am ready to begin pruning roses, and will hope for the best. 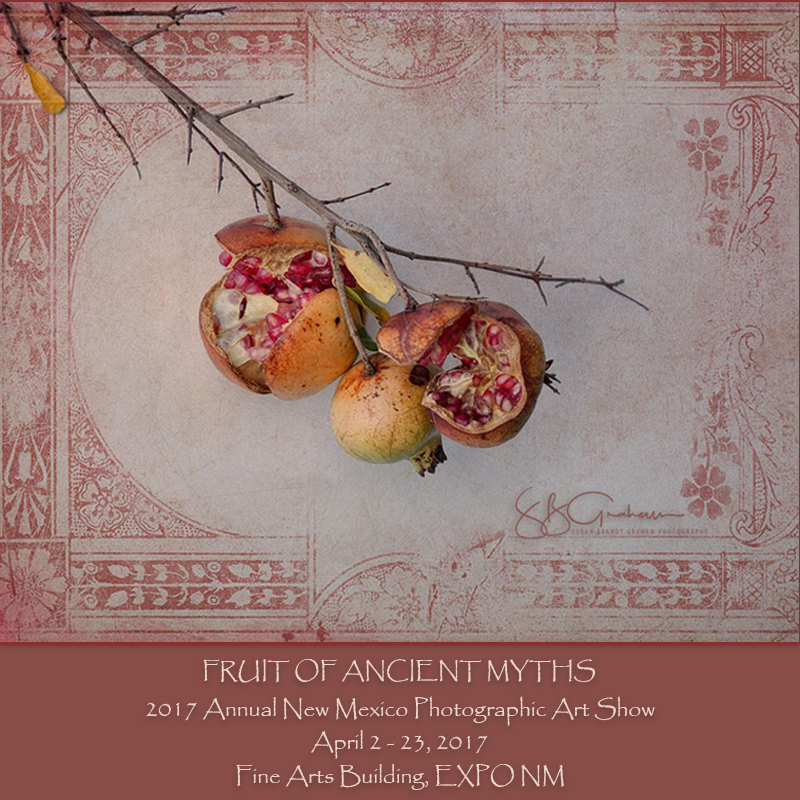 2017 ANMPAS – Annual New Mexico Photographic Art Show – will open with a reception on April 1 and run through Sunday, April 23, 2017. The show will be held in the Fine Arts Building at EXPONM, the State of New Mexico Fairgrounds. This April I am pleased to be showing “Fruit of Ancient Myths” as a 16×20″ print. I thank the 2017 jurists. The Annual New Mexico Photographic Art Show features photographic artists who are residents of New Mexico. Accepted entries have gone through a rigorous jury process. LeRoy Perea began ANMPAS as a way for photographers in New Mexico to showcase their work in a gallery setting. Begun as one show each year, it rapidly expanded to two shows a year, and may, at some point, reach three. Until 2017, the “main” ANMPAS show was held in December. Ïnsight New Mexico” for women photographers was added in April several years ago. In December of 2016, things were mixed to add variety. The December show was a pure black and white show. The main 2017 ANMPAS show will be held in April. I do not yet know what the show in December will feature. You might be wondering, “why is this on a gardening site?” I began this site years ago about growing roses. 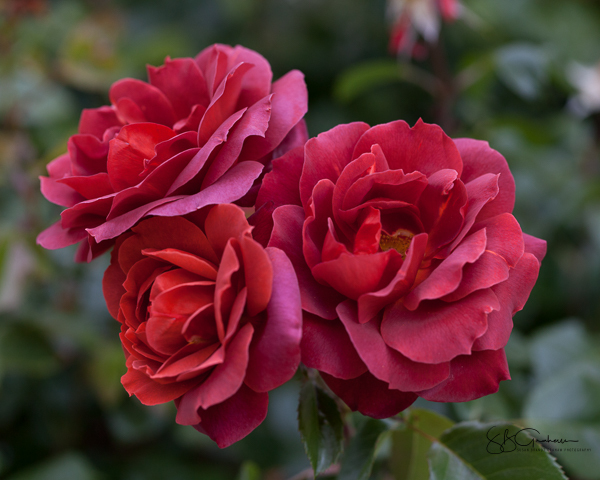 Over time, I became interested in photographing roses, which led to the PSWD Guidelines for Judging Rose Photographs. 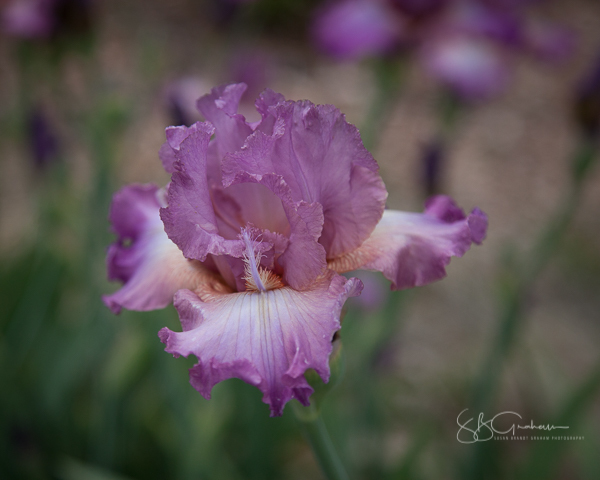 My interest in photography has branched into many areas, but I still enjoy pushing the envelope with botanicals. These pomegranates were grown by my mother. I photographed them – many of them – for the conceptual series, “Persephone’s Choice.” Now I am taking time to enjoy the pomegranates themselves, apart from the conceptual series. For those of you in the Albuquerque area, I hope you’ll visit 2017 ANMPAS this April.